House cleaning is an inescapable responsibility that everyone has to manage. Whether you own a home or lease a property, you will always have to clean up after yourself to maintain your professional image and keep your living space tidy. 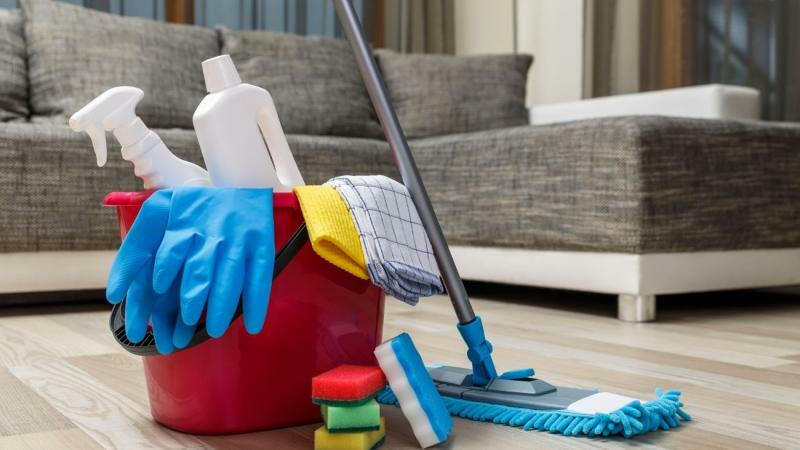 As such, busy people are increasingly turning to professional cleaning services to take care of household chores, so they can focus on their career, school, or family. House cleaning services keep your home spotless since trained professionals will do the job while you focus on getting more out of your life. In recent years, the Internet has helped to make the house cleaning market highly competitive, so now is a great time to consider hiring a house cleaning service to make your life easier. Molly Maid is one of the largest and most popular U.S. house cleaning services. The company has operations in almost every U.S. state. Locations are even available in Washington, D.C. and Puerto Rico. Even if you live far from a major city, Molly Maid is usually able to send helpers out to your home because of its wide service area. Molly Maid provides homeowners with a guarantee that cleaning jobs will get done right.1 The provider also has great reviews, so you can count on receiving excellent service whenever you book a cleaning job. The best way to book Molly Maid is to apply for a house cleaning estimate on the provider’s website. Cleaning Authority is a leading U.S. house cleaning brand that has been in business for over 40 years.3 The provider uses professionally trained employees who know how to clean a home quickly without making any mistakes. Satisfaction is guaranteed for all cleaning jobs, and the company is bonded and insured. As a franchise business, Cleaning Authority can also be seen as a locally owned business that also leverages the advantages of a national infrastructure. Overall, Cleaning Authority is a reliable provider that you should consider if you want to be sure that your home will get cleaned reliably and professionally. Another provider that you should consider when shopping for a house cleaning service is Maid Simple. The provider does not lock its clients into long-term contracts, and all its locations are locally owned. Plus, only cleaning products that are environmentally friendly are used, and the goal of simplifying the life of clients is ingrained into the minds of the maids who are sent out to your home.5 Although its services are only available in seven states, Maid Simple is a provider that you should consider if a location is available in your area. A disadvantage of Maid Simple is that customers must pay for all services in advance. Maid Simple does not offer free estimates. Instead, customers pay a fixed fee each time that a maid is sent out to their home. An hourly rate is, then, added to the bill depending on how long the maids worked for the customer. This pricing model of is ideal for customers who do not want to sign any contracts. You can book Maid Simple by using the contact form on the provider’s website to request a cleaning. Since Maid Right focuses on both recurring and one-time services, you can book both types of services on the provider’s website.7 Customers can pay by putting a credit card on file or by paying the maids directly after they complete a job.8 As with most maid services, prices vary depending on the services that you need. Merry Maids is one of the largest maid services with 1,351 U.S. locations. The company is part of a family of companies owned by ServiceMaster, a holding company that owns many brands in the house maintenance industry, including Terminix, Amerispec, and other widely recognized service providers. The Internet has given consumers the power to compare providers in ways that were never available in the past. You can easily ask for quotes from multiple providers to find the best deal available in your area. By conducting thorough research online before choosing a maid service, you can find a service provider that will exceed your expectations while staying within your budget. So, be sure to take advantage of the information that is available online as you search for the right provider.